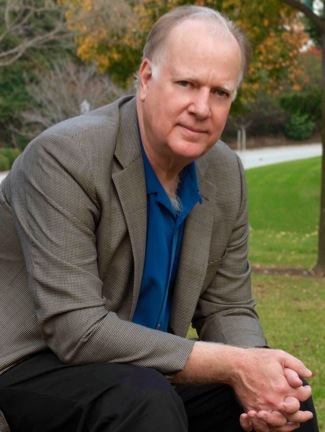 One of my favorite writers, teachers, mentors, friends, and all-around great guy is James Scott Bell. Jim is such a teaser. He’s released Chapter One of an upcoming thriller. I clicked through and read it and was hooked. He’s doling out the info like a hoarder letting go of his packets of soy sauce and ketchup. So far, there’s just the chapter. No title. No cover. Just the chapter. Good thing it’s dynamite (almost literally). Here’s the link to check it out for yourself. Jim was a pioneer, hacking a way through the forest of indie publishing. He’s still a prolific writer who’s figured out how to succeed in today’s changing climate. Jim also wrote the very first zombie fiction that I ever read, Pay Me In Flesh. Yep, believe it or not, I’ve read zombie fiction. A couple of them. Of course, I only trust Jim to write zombies that I enjoy. That’s why I’m so sure this new series is going to be fantabulous! Book Talk Tuesday: Coming Attractions — Women of Heart! I’m looking forward to this boxed set coming in September. A friend, a mentor, and a acquaintance are all included in this one and I can’t wait! 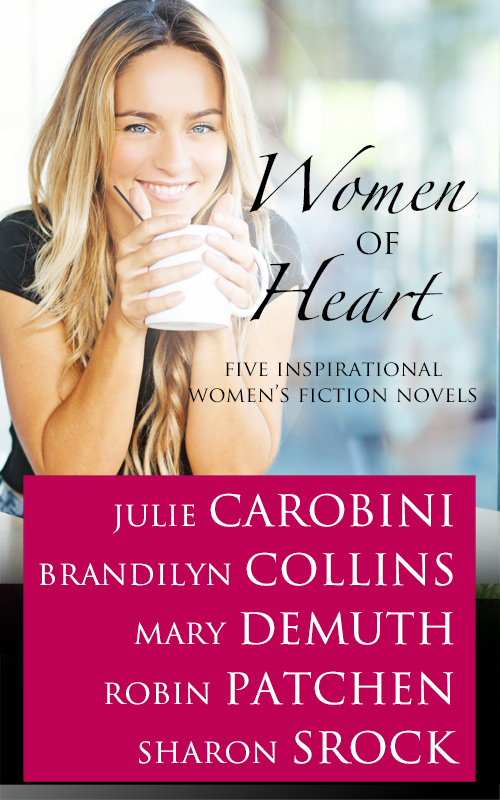 WOMEN OF HEART – 5 Inspirational Women’s Fiction Novels in one, features some of my favorite writers with some of their best works. It’s available for pre-order at limited time price of $.99 on most ebook platforms. Did you see that price? 99 CENTS! What a bargain. I’ve snapped it up. 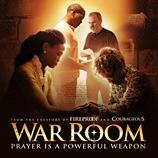 I had an opportunity to see an advance screening of War Room, the latest faith-based movie from FaithStep Films and Affirm Films. I’ve said before that I’m highly critical of “Christian” movies because they’re often either saccharine or preachy. There’s plenty of preaching in War Room, but it’s mostly from an elderly woman as she’s mentoring a younger woman or praising God for answered prayer. There’s nothing saccharine about the movie either. I really enjoyed it. It’s the story of a successful couple. Successful on the outside. They have a beautiful home, a great daughter, good jobs. But they’ve lost their way as a family. 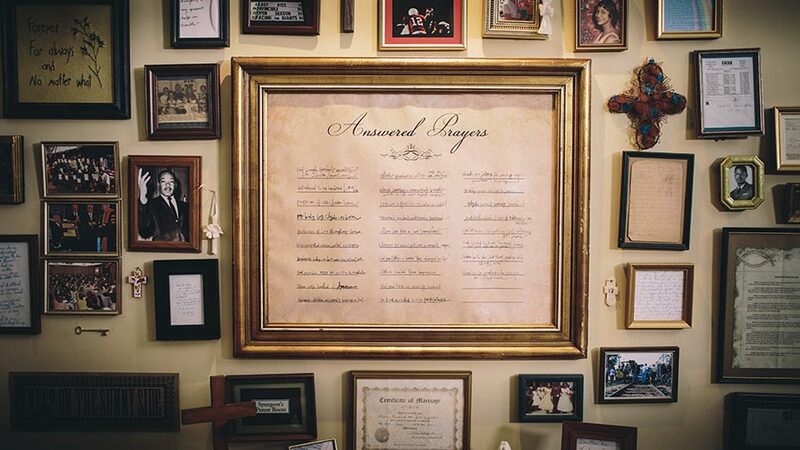 When the wife gets a new listing for her real estate business, the seller challenges her to pray for her husband and family in a “war room,” also known as a prayer closet. This is the best film so far, in my opinion, from FaithStep. Each of their films boasts better acting and production values and the partnership with Affirm Films (a Sony company) has only helped. T.C. Stallings, actor in Courageous and former pro footballer player, is Tony Jordan. He’s vain and selfish as the story opens. Priscilla Shirer is his wife Jennifer. This is Priscilla’s first movie role and I thought she was excellent. Tony is … slick, is the best word I can think of. He’s attractive and charming and he uses both qualities to his own advantage. He’s also angry and driven by money. When Jennifer begins to pray for him, neither of them are prepared for how God answers her prayer. Karen Abercrombie is Miss Clara, the older woman teaching Jennifer about the power of prayer and the name of Jesus. Karen is considerably younger than Miss Clara, but she embodied the role and I believed she was elderly until I looked up her credits on IMDB. I’m not quite sure why Beth Moore is billed as a “lead.” She has two to three lines in one very short scene (by the time I nudged Stud Muffin and said, “That’s Beth Moore!” she had one line left and the scene was over) and no lines at all in her second scene. If the billing is an overt attempt to get some Beth-loving women into theater seats, I’ll hazard two opinions: 1) Those women are going to feel cheated and they will be vocal about the bait and switch. And 2) it’s not necessary. This is a strong movie and it deserves to be seen on its own merits. Overall, I loved this film and give it a “Should See” rating. Stud Muffin loves popcorn. He used to have it for dinner about every two weeks or so. We’ve made it all ways. Air-popped. Microwave. On the stove top. He has the stove top preparation down to a science. How much oil. 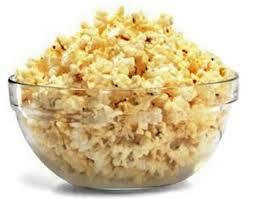 How long to let the kernels absorb the oil, then turn up the heat to pop. We’ve tried many seasonings. Tabasco. Cheddar “cheese” powder. Butter and salt. Kettle corn. Different popping oils. Vegetable oil. Olive oil. Canola oil. I always love the old standard, butter and salt, for my seasoning. If I’m home alone and want some, I use Alton Brown’s microwave method. It’s super easy, delicious, and devoid of the chemicals in the store bought microwave bags. I do make one modification to Mr. Brown’s directions. He uses a stapler to close the bag. I’m afraid of opening the bag and letting the staple fall into the popcorn and eating it by accident. So I fold the bag top over two to three times, then make two small vertical tears or cuts through all layers of the fold, so I have three sections of bag. I fold the center section forward and the side sections back and it makes a secure seal and I don’t have to worry about digging out lost staples. What’s your favorite way of making popcorn? Favorite flavor? I had a lovely time at the spa a couple of weeks ago with my old friends that I blogged about here. My concerns about the minerals and my skin allergy were unfounded. I was no worse (and perhaps a tiny bit better) after the visit. Of course, I did avoid the actual mineral baths and instead enjoyed the saline pool, the hot and cold pools, and the various other pools the spa offered. Now we get to take another trip with long time friends. There’s some overlap in these groups so we get to see some of these people again soon. 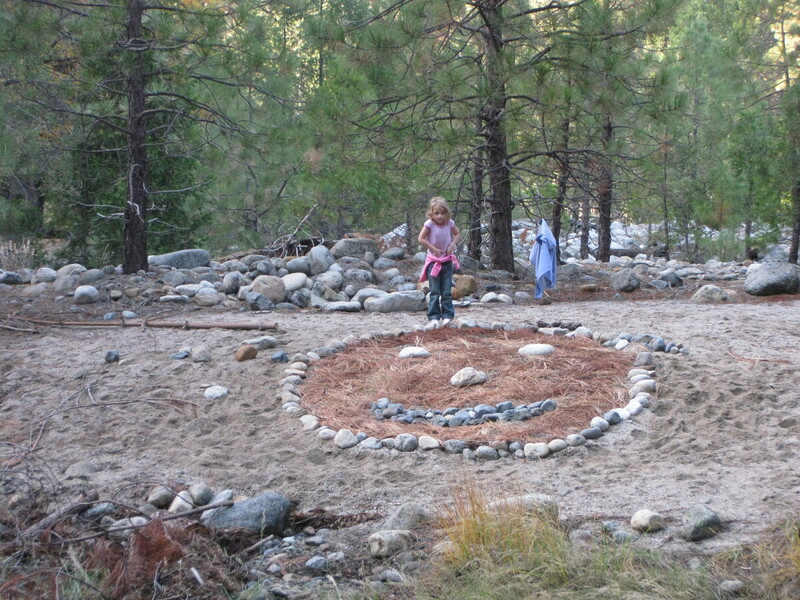 We’re leaving today for a long weekend in Yosemite at our friend’s family cabin. We’ve been visiting this cabin for over twenty-five years now. Our daughters grew up looking forward to cabin trips. Now our grand-daughters love the cabin too. This trip will be a mini-reunion with the arrival of a family who moved out of state several years ago. They’re coming back with their grown kids and grand kids, so it will be a busy and wonderful time of making memories, eating, swimming (presuming there’s still water, always a concern in August), drinking, puzzles, reading, digging in the dirt, collecting rocks and feathers, forest golf, ping pong, Rook, cribbage, relaxing, laughing, and having fun. The dog and house sitter is booked. The menu planning is done. The shopping and packing is done. We’re ready to hit the road! Where’s your favorite place to make memories? 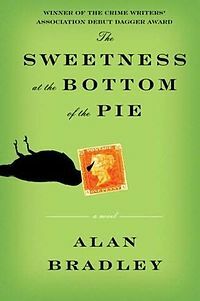 I’ve seen this book by Alan Bradley around and highly recommended for a while, but I just got to it recently. Flavia de Luce is ten years old and a budding chemist. She’s particularly interested in poisons and in the beginning of the book, she distills an elixir of poison oak extract and inserts it into her teenage sister’s lipstick. She waits with anticipation to see the results so she can add to her research journal. Flavia’s two sisters are extremely self-absorbed, as is her father. He is still grieving Flavia’s mother’s death when Flavia was very young. They live a quiet life in 1950 England. Until a stranger turns up dead under a cucumber vine in their kitchen garden. Except he wasn’t really a stranger. Flavia had been awakened in the night and saw her father and the stranger arguing in Father’s study. Flavia turns into a sleuth to figure out just who the man was and why he came to visit her father. When Father is arrested for the man’s murder, Flavia’s learns just what she’s capable of … and where she missed the mark. I enjoyed this one a lot. Flavia is a completely new kind of narrator with a distinctive voice. I have the next book in the series, The Weed That Strings the Hangman’s Bag, on Mt. TBR and hope to get to it soon. If you enjoy British cozy’s I think you’ll like this. I wouldn’t call it strictly a cozy, but it’s close. We’ve been watching this show since it The Next Food Network Star. Well, since season two. We liked Guy Fieri in Season 2. In fact, he made an appearance in Visalia shortly after he won and Darling Oldest and I took a little road trip to see him in person. We enjoyed Melissa D’Arabian in Season Five and we’ve watched her show semi-regularly. We weren’t huge fans of Season Six’s Aarti Sequeira, but I agree she has a unique viewpoint. We loved Justin Warner from Season Eight and have been disappointed that Food Network never utilized his talents and he’s pretty much disappeared from the network. The current season is underway now. Stud Muffin says he doesn’t want to watch, but if I settle in for the episode and he’s around, he’s soon sitting and watching with me. 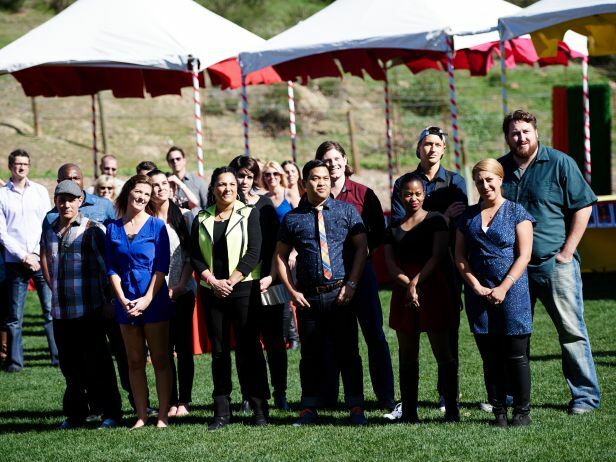 For a reality competition show, there are certain elements and “characters” who seem to appear every season. There’s almost always a “mean” competitor who trash talks the others. In past seasons, this person was kept long after they should have been eliminated, I’m certain just for the drama element and yes, I’m talking about Penny Davidi in Season Seven and Danushka Lysek in Season Nine. Both of them have also been on Chopped and seemed quite humble in contrast to their Food Network Star performances. This year, the smart-aleck jerk was eliminated early on. Matthew Grunwald has the distinction of being the only contestant eliminated because a judge changed her vote in the middle of sending a different competitor home. Matthew smirked as she mentioned the other person and she stopped, said, “I want to change my vote,” and it was bye-bye Matthew. Last night was the top three competitors turn to film their pilot shows. Sunday the winner will be announced. I think all three of the finalists can do a good, solid show, but I think Jay and Eddie have the best chances for sustaining a show in the long haul. Do you watch? Who’s your pick for a winner this season?